“It is obvious that what we create in our societies during this lifetime affects us during our next lifetime. This is quite different than the ‘belief’ or the ‘idea’ that this occurs. In Scientology, we have very little to do with forcing people to make conclusions. An individual can experience these things for himself. And unless he can do so, no one expects him to accept them. The sense of social responsibility is reinforced when, in the course of participating in auditing and training services, Scientologists come to the realization that they actually are spiritual beings who have lived before and will live again. The corollary of this realization is a higher standard of ethics and morals. The world one makes today is the world one returns to tomorrow and one lives with the fruits of his labors or the results of his transgressions in lives to come. This is not merely an abstract concept concerning the future state of society. It also applies directly to one’s spiritual condition. A fundamental precept of Scientology is that people are basically good, but have become aberrated through contact with the physical universe and therefore commit harmful acts. These acts reduce the person’s awareness and ability and recoil on them in a dwindling spiral of unhappiness and misery. Through Scientology, a person can confront his or her actions, take responsibility for them, and come to know and experience truth again. 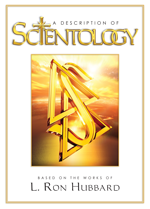 Scientology seeks the complete reversal of this dwindling spiral and the attainment of spiritual freedom for the individual and society as a whole. 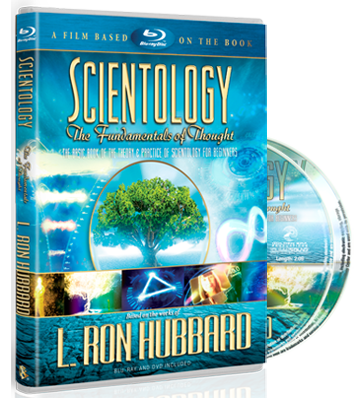 Scientology shares the goal of spiritual salvation that exists in many faiths such as Judaism, Islam, Christianity, Buddhism and Hinduism. While the terms in which salvation is to be accomplished differ in Scientology, the spiritual goal of saving the soul is a commonality shared with many faiths.